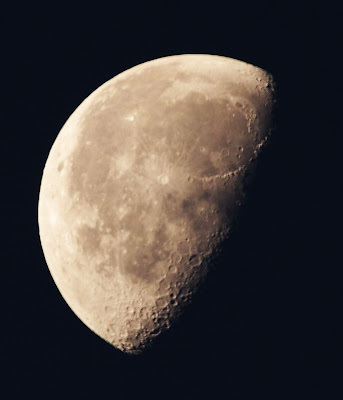 Birds of the Heath: Some amazing lunar features! 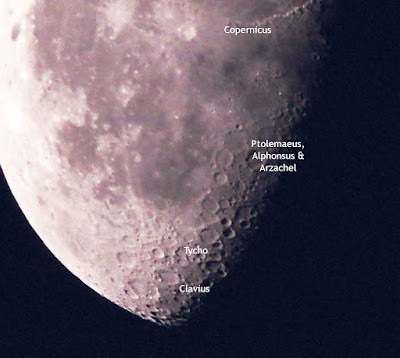 Again, the Moon was a splendid site this morning, with the terminator very close to the terrific crater triplet of Ptolemaeus, Alphonsus and Arzachel. 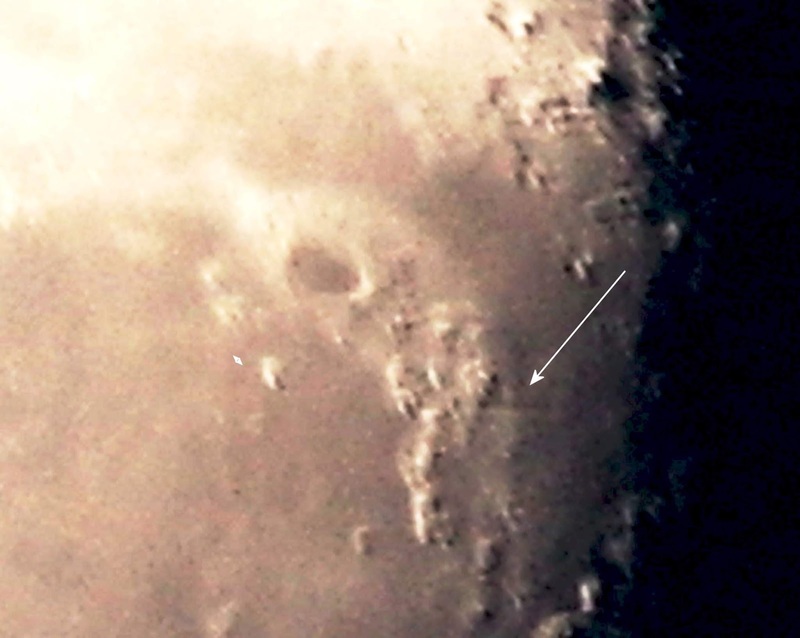 To the north, the dark-floored crater Plato was really conspicuous, with the Alpine Valley to its east. This feature was probably created by an oblique cometary impact that carved its way through the Lunar Alps. Also noteworthy are the two large craters Copernicus (with its central peaks and terraced walls) and the young crater Tycho, with a ray system that spreads almost completely around the Moon. This ejecta, lying as it does over the top of 'seas', mountain ranges and craters, suggests an impact perhaps as recently as a million years ago!